Cloud management and services orchestration platform provider ServiceMesh recently delivered Agility Platform 8.0, a major upgrade with features to help better govern and manage private, public, and hybrid cloud usage. The platform provides Global 2000 enterprises with a consolidated platform for the consistent management, governa nce, orchestration and delivery of cloud applications, platforms and services. The control over application services -- without squelching the innovation of self-provisioned benefits -- has become acute for many organizations. Managing services by each cloud, SaaS provider or on-premises platform is complex, expensive and unwieldy. And so ServiceMesh has identified the governance and policy-enabled orchestration of ecosystem-wide services as a crucial, burgeoning requirement for agile businesses, said Chairman and CEO Eric Pulier. "This is a policy-centric approach ... You need to gain a holistic view of applications," he said. Agility Platform 8.0, which is delivered as an on-premises virtual appliance, allows companies to leverage services in on-demand, self-service IT service management (ITSM) operating model. The platform remains independent of the cloud or enterprise applications and services. APIs are available for developers so that new services can leverage Agility right away, even as it supports legacy and existing hybrid-delivered services, said Pulier. The result is to compress IT service delivery times, lower IT operating costs, and increase investments in IT innovation, said ServiceMesh, a venture-backed start-up in Santa Monica, CA. Commonwealth Bank of Australia is using ServiceMesh to improve its services management. ServiceMesh has a bold vision of enterprise agility via holistic services orchestration capabilities that manage both on-premises and cloud-based services, with automation of service lifecycles through policy-based definitions and enforcement. 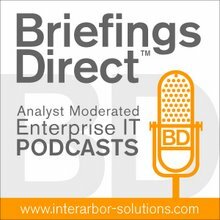 Enterprise customers today are clearly seeking solutions to the dual challenges of making their current IT organizations more responsive to business change, while also ensuring that business users will not get around internal IT resource constraints and delays by selecting an unauthorized external cloud provider’s self-service, pay-as-you-go IT resources. So-called shadow IT deployment of services muddies the water, especially around control and security. BYOD is another complicating factor for more and more organizations. What's more, governance, risk and compliance (GRC) requirements are also demanding the types of centrally managed solutions from Agility Platform 8.0, said Pulier. Services management policies can vary from department to department, region to region, even as an enterprise wants to standardize on cloud or SaaS applications. Automated orchestration and events processing logic allows for such complexity of services delivery, while banking on the efficiency and cost-savings of consolidated services origins. The ServiceMesh platform allows organizations to accelerate the adoption of cloud services across the enterprise and move business applications into the cloud with complete governance and control, said Pulier. The Agility Platform automates the deployment and management of cloud applications and platforms and ensures the portability of these services throughout their lifecycle, independent of the underlying private, public or hybrid cloud environment. I have certainly seen many ways emerge in the market to try and solve the services management complexity equation, and they vary from VDI, to app stores, to SOA registries, to SOA ESBs, to PPM and extended configuration management databases (CMDBs). Pulier says the ServiceMesh architected platform provides "a better source of truth" than these other approaches about services across their full lifecycle, and across vast IT infrastructure heterogeneity. "It's more than a catalog, and federates back to the CMDB and other management capabilities," he said. "You need a holistic view of the problem, and to provide a platform for the business, not just the IT department," he said. This approach "creates infrastructure- and cloud-independent applications management," said Pulier. ServiceMesh is targeting its platform at both enterprises and cloud services providers. Expect more news on the channel at VMworld later this month. While the ServiceMesh platform is on-premises now, it may also be deployed at the cloud provider layer, and many of its capabilities can also be delivered as a service. Wizard-based capabilities to discover and automatically import existing virtual machines (VMs) deployed from other third-party provisioning tools in either private or public cloud environments. Upon VM import, the platform enforces user specified policies on those VMs to ensure the desired governance, security and control. VMs can then be published through a service catalog. Capabilities to monitor cloud-provider performance and adherence to SLAs, and to compare different cloud services, measuring a range of different cloud-provider operational parameters, such as average VM provisioning time, number of failed or degraded instances, maximum number of concurrent provisioning requests executed and others. More enterprises are realizing that they must evolve toward a self-service, on-demand IT operating model to increase their ability to innovate and address new market opportunities quickly. Support for hybrid cloud strategies by enabling workload portability across a broad range of heterogeneous private and public cloud technologies. The latest release extends these capabilities with support for Microsoft System Center Virtual Machine Manager 2012 and Microsoft Hyper-V. Improved extensible policy-based governance controls with new policy types to govern the sharing of pay-as-you-go IT resources within large corporate settings, including new options to control IT resource scheduling, sharing, leasing and chargeback. A cloud-native architecture that dynamically scales to meet system demand, using only the amount of resources needed to rapidly execute provisioning requests, orchestrate auto-scaling operations, and perform other management functions.